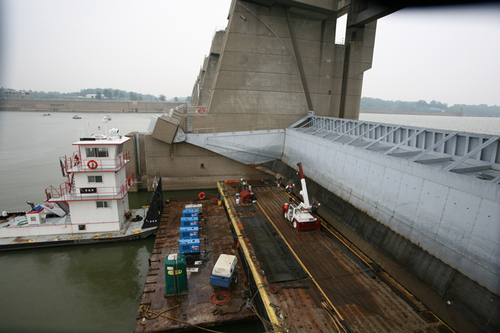 Repair the right and left arms and downstream face of all ten tainter gates by removing the existing side plates and damaged beams and installing replacement beams and protective plates. Removed and disposed of debris accumulated inside the tainter gates. 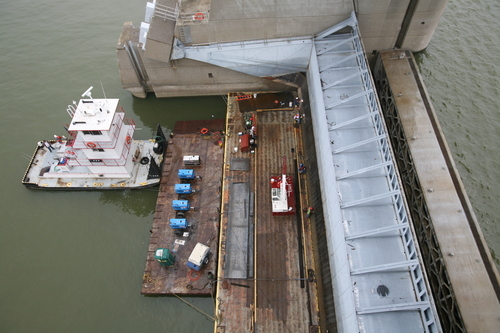 Along with the Corps, performed Lockout/Tagout procedures to secure the gates being repairs, the Bulkhead Crane, and any adjacent tainter gates.